We pick up our CSA box on Thursday afternoons. I am not only a subscriber, I am also the neighborhood organizer, a volunteer position. Friday mornings, before I go in to my market (paid) job, I combine my community and family jobs by taking Iris to our neighborhood coffee shop and CSA distribution point, Neighborhood Grinds. Iris and I return the empty box for reuse, she gets a decaf mocha, I get a soy latte, and we tear into a fresh loaf of challah (baked at Manhattan Bread and Bagel, but delivered to NG). I also pick up the subscription orders for the following week that have been dropped off at NG. Last week, she hammed it up for the camera while wearing her newest top. Then we walk around the corner from NG to her school. I sign her into the afterschool program, talk to her teacher to coordinate her math lessons (I homeschool math with district-provided materials), pick up CSA orders left at the school and walk home. At home, I collate the CSA orderrs, update the google spreadsheet and email the total to Tanaka Farms. Only then am I free to go to my market job. 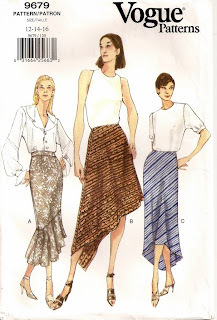 With all this on my plate, I am not sure how I found time to make this top, McCall's 5135. She selected a pink pima cotton poplin that feels great next to the skin. It is a remnant I picked up back in grad school. We paired it with some white Swiss dot I bought last year from SAS Fabrics for $3 per pound. I bought a pound of black and white pieces and it should last me a decade at the rate I am sewing. The original pattern had two-piece sleeves. I turned it into a one-piece sleeve with a dimpled pleat at the shoulder. This eliminates one seam and gives a cute detail. We trimmed it with cotton lace from Dharma Trading. The pattern shows the lace meeting in a V at the bodice seam. This lace is wider and less bendable than the recommended lace, so I couldn't shape it to meet in the center. From her measurements, she should have been a size 8 in girth and a 10 in length. 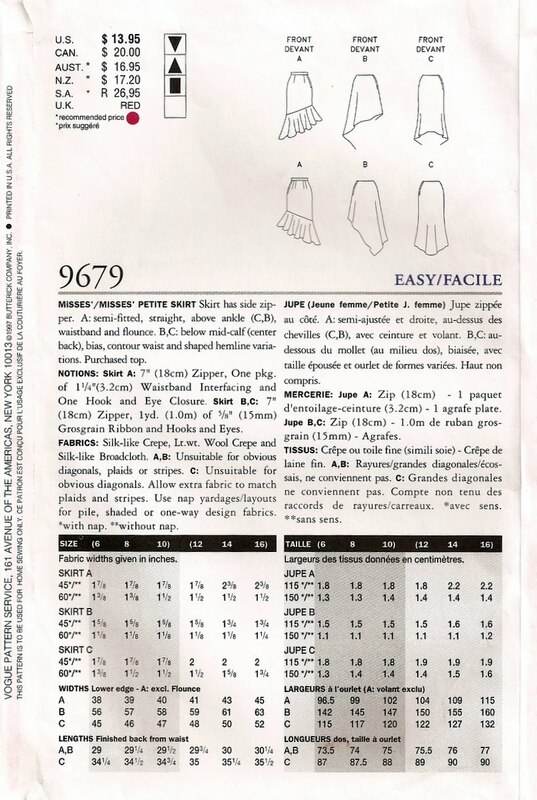 When I have sewn for her using Kwik Sew and Simplicity, I usually just trace the 8, but extend the hems to the 10 length. It worked fine until this top. Is McCall's sizing less consistent than other brands'? This top is too tight. She can barely get it on. She says that is why she has to wear it as often as possible before she outgrows it. I think that means she likes it. If I make this again, I will go up a size and add length to the upper bodice. She doesn't like the empire line. She would prefer the seam at her waist. Actually, it says, "View A,B: Unsuitable for obvious diagonals, plaids, or stripes." So why do they illustrate view B with a striped fabric? The warning didn't deter me in Unsuitable for plaids or stripes so I plowed ahead. That looked awfully short on the left side, so I took the triangle-shaped leftover pieces and sewed them to the selvedge edges of the skirt in an enclosed seam. If you do this, bias garments take only a little bit more fabric than straight of grain ones. But the drape is so much better. I left the selvedge fringe on the outside for visual oomph. Before I roughly trimmed the hem, I steam-ironed it strenusously, pulling it lengthwise. Then I pin-basted the skirt, sprayed it generously with a mister, and left it on my dress dummy for a week. You can see it on the dummy, peeking out under this vest that I knitted in ~2001 (from a circa 1983 pattern). The linen just grew and grew. In the end, I realized that I didn't need to sew the extensions on at all. It would have been long enough on the left front side. An obvious stripe would obviously not match at the side seam. I'm not really bothered by it. Unbalanced stripes and plaids are not for perfectionists because they will never match perfectly at all the seams. Just aim for a visually pleasing effect. Here's the back (with center back chalk marking). Did I tell you how much I love the stripes in this skirt? Bias garments do not have to be fabric hogs if you sew the leftover triangles to the opposite side. Pin or thread baste the pieces together and hang them up to let gravity do its thing. This works better on a three-dimensional form like a dress dummy or a human. Dampen the fabric. Add some weight to the hem. Let it hang for at least a day, preferably a week. This is why you should buy a dress dummy. 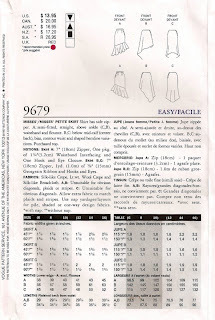 Try the basted and stretched garment on for size, adjust the basted seams. Roughly trim the hem. Fuse 3/4" wide strips of interfacing to the seam allowances from waist to below the widest part of your hips. This helps prevent bulges and wavy seams at the hips. I remembered to do this because I read this transcript. It is well worth your time to read it, too. Now you are ready to sew! Sew the side seam up to the zipper opening. Insert a zipper using your favorite method. I used Kathleen's centered zipper method. Then I pick-stitched down both sides of the zipper by hand. Put the skirt back on the dummy and mark the hem for real. I serged 1/2" beyond the hemline, then ironed up the hem and topstitched it down. Not too shabby for 2 hours of prep time, 2 hours of sewing time, and a week to allow the fabric to relax and grow. I don't have much time to sew during the week anyway. I made a matching top, Vogue 8657, and zero waste shorts with the rest of the 3-yards of 54" wide linen. The full pattern review is here. When I met Peter in NYC, I was surprised to learn that he really is a beginner. He is so prolific and adventurous, I forgot that he learned to sew less than a year ago. I tried to give him tips for working on the bias, particularly in rayon, and he asked me why I would bother if it was such a pain. I was in such a rush, I didn't have enough time to explain. Bias behaves differently than the straight of grain. I had bought this fabric to make this sheath dress, but it didn't feel right to me. It laid on the cutting table for two weeks because I couldn't commit to cutting it for that style. I picked up the fabric, draped it around my body, and instantly knew I wanted to turn it into a bias skirt. Home sewing is a journey, and constructing bias garments is taking the longer scenic route. Do you know where that's been? I meant to write a detailed Earth Day post about Iris' class trip to the West Basin Water Recycling Facility. It would have been a follow-on to Walking My Watershed. But, I am jet-lagged and all you get is this short post instead. We bought 7-day NYC subway passes for the whole family during our visit. While Iris has taken the subway in LA, SF and DC, she doesn't do it habitually. Last week, she rode the subway as many as 7 times a day. I cringed when I saw how often she touched surfaces in the trains and stations, and then put her hands to her face. You could see the dirt on her hands and sleeves. Who knows how many germs there are? 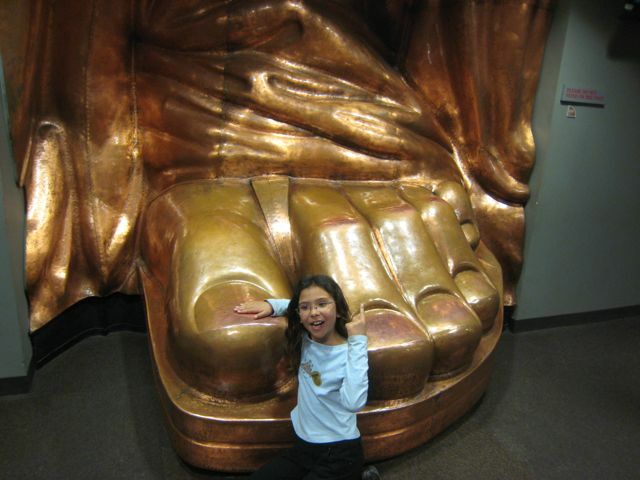 Who else touched their face and then that surface and where else have they touched? Yipes. Pennamite wrote on her Facebook wall that it was very windy outside this evening. Someone else noted that, not only is it windy, but it is cold (by LA standards). My first thought was, of course it is windy; we are getting rain because the jet stream is parked over us. Then I thought, hmm, this shows us the air that is headed towards us. From where did the airmass that is currently here originate? Well, NOAA has a handy web model interface that allows users to calculate both forward AND BACKWARD trajectories. So here's a 315 hour backward model for the air 500 meters aloft. Yup, that's almost in Siberia. (The model only goes back 315 hours, but if it had a longer history, we might be able to definitively call it a Siberian airmass.) Whatever. It's from a very cold region. Compare it to the source of our air from 3 days ago. Does this help explain the weather? If you want to run NOAA's HYSPLIT (HYbrid Single-Particle Lagrangian Integrated Trajectory) model, read the tips in Fun with Finite Elements. Then visit NOAA ARL READY http://ready.arl.noaa.gov/HYSPLIT_traj.php. A user agreement will pop up. Read it, then go back to the original window and select "Compute forecast trajectories". Leave the first page of options at their default settings. On the second page, select Meteorological Data: GFS and City: Los Angeles, CA. The default forecast cycle is the most recent one. Leave it alone. You can leave the plot options at the default settings, but I like to plot color trajectories and add distance circles. For a longer model run, you may want to use label intervals of 12 or 24 hours instead of the default 6. GFS is Global Forecast System. NAM and RUC cover only North America. If you want a map that includes other areas, there is only one choice, GFS. Have fun and don't swamp the server. I meant to call this one Redwood, because the stitch pattern reminds me of redwood bark. But I finished the sweater on my NYC trip and this sweater is so RED, just like the big apple. I bought a bag of 10 Frog Tree Yarns Pima Silk and their Cape Waves pattern. Don’t waste your money on the pattern. See that little 100x87 pixel picture? That’s all you will see until you shell out $7 for the pattern. Then the dealer, usually a small local yarn shop, prints your out the pattern on their printer. (No, you don't get a pdf, like many pattern e-tailers.) My LYS used an inkjet printer at less than great resolution. The ink bled when wet; no, I can't print out another one because I bought a hardcopy, not a pdf. What else bugs me about the pattern? The one photo doesn't show the entire sweater; there is no schematic, no pattern chart, minimal measurement info and a gauge that was impossible to achieve with the yarn it was written for, even when I went down 3-4 needle sizes. It wasn’t even until I bought and read the pattern that I realized that the pattern is for a raglan 3/4 sleeved sweater. The smallest size was over 40" wide and supposedly required 7 balls of yarn. My sweater is 38" wide and used 9.5 balls of yarn and I used a slightly looser gauge of 24 stitches per 4" instead of the pattern's 26 sts/4". I redrafted the pattern using lines from the Minimalist Cardigan and my gauge, with set-in sleeves. I did use the knit/purl stitch pattern from the Cape Waves pattern, but that was hardly worth the $7. There are lots of great knit/purl stitch patterns in stitch dictionaries. I didn't need this pattern. Live and learn. But I do like the sweater and the yarn. I like Frog Tree Yarns very much overall. How many other companies produce a mostly cotton yarn with no knots in 10 out of 10 balls? Not many in my past experience. I also learned how to use a crochet cast-on to initiate a tubular cast-on. It’s like magic, only easier. Crochet cast-on (( n/2) mod 1) + 1 stitch (see this Lucy Neatby photo tutorial). E.g. If you need 53 stitches, you will crochet cast-on 27 stitches. You will always begin and end with a k1 on the right side (RS). If your pattern calls for an even # of stitches, increase 1 when you switch from ribbing to your pattern stitch. Row 1: (RS) Then knit 1, yarn over, knit 1, yarn over...k1. Row 2 and 4: (WS), slip the stitches that were knitted on the prior row (with the yarn in front) and knit the yarn overs. Row 3: (RS), knit the stitches you slipped on the prior row, slip the ones you had knitted on the prior row (with the yarn in front). That way, you are always knitting the stitches that face you, slipping the ones that face away from you, and keeping the yarn between the 2 layers while slipping unworked stitches. Then knit the rest of your piece. After you are done, you get to do the fun part, ripping out the foundation chain. Here I have untied the knot at the end and have pulled the first chain out. When I yanked out the slipknot at the end, it gathered a bit. Then I pulled the waste yarn out. The sleeve didn't unravel! The stitches magically begin out of nowhere. It's magic! Actually, it's topology, which is even better. After seaming, lightly press the seam with a steam iron from the wrong side over a dowel. This prevents a seam imprint from showing on the right side. The sweater does grown downward. A short trip in the dryer shrinks it up again. Or I just roll up the sleeves. I wore it out to lunch with Connie and Maurizio, home on the plane and discovered I had spilled food on it somewhere in between. The Frog Tree Yarns Pima Silk washed wonderfully, with no shrinking, stretching or pilling. Only a little bit of dye came out in the water and there is no noticeable fading in the sweater. And there were no knots in 10 out of 10 skeins. I really appreciated that after working with some other brands that I don't want to name. LYS Twist Yarns of Intrigue carries it at very good prices. As a bonus, here's the embossed knit/purl combo stitch pattern. If you want me to chart it out, you will have to wait until I get over jetlag. The Flickr photos of the sweater. The swatch for my current knitting project. Bubblegum 4 Breakfast's hotel was a few blocks from ours. We took her DD2, aka Rockstar, with us to MOCA and the Museum of Natural History (on successive days). I brought the pieces of a cardigan I started on our Utah ski trip and planned to seam them on the outbound flight, but then put the project in the checked luggage for fear that they would take my scissors away. I finally finished seaming it the night before we met up with Connie Chang Chinchio. Connie, a knitwear designer (and fellow Physics PhD), said that I should write up the pattern. I keep notes for myself, but don't have a strong desire to become a professional designer. Where's a sneak peak. More later. We met a family from London at our NYC hotel. Their 4 day trip to NYC was turning into a two week nightmare. Their return flight was pushed back from April 17 to April 27 due to volcanic ash! I don't want to get into an argument about the sustainability of airplane travel (and my own enviroguilt about flying LAX to JFK RT for Spring Break). Anyway, you can make your own simple trajectory calculation with NOAA's HYSPLIT (HYbrid Single-Particle Lagrangian Integrated Trajectory) model. Model access via NOAA ARL READY http://ready.arl.noaa.gov/HYSPLIT_traj.php. BTW, I initiated forward trajectories at three heights every 3 hours for 72 hours starting near the Eyjafjallajokull Volcano, Iceland. Although READY allows you to run volcanic ash and dispersion models, I used a simple advection model to generate this plot. I wrote a follow-up with step by step instructions for how to use the NOAA interface in Do you know where that's been? My inbox is crammed with commercial messages telling me what I should buy to go green for Earth Day. You know what would be really green? Don't buy anything. Just consume less every day. I feel slightly embarrassed about being on the bandwagon because the first meeting of the Good Neighbor Knitting Club, at Neighborhood Grinds, falls on Earth Day, April 22. We will meet at 7 PM. I can help you with your knitting project; crocheter extraodinaire Pennamite can help you with your crochet conundrums. Thursday is also delivery day for Tanaka Farms--Madison Elementary School CSA. There will be samples of the large ($30) and small ($20) boxes for you to check out. That's why I am so embarrassed; BMGM is shilling for people on Earth Day. But, I am shilling for a small urban family farm and a neighborhood coffee joint (run by neighbors that send their kids to the same schools) that roasts their own (often fair trade) coffee beans. Come by and say hello. You don't have to buy anything. We will be at 2315 Artesia Blvd Ste #1, in North Redondo Beach at 7 PM, April 22. Here's a map. If you have a daughter of a certain age, you may have noticed that Disney employees are trained to address them as "princess" and to refer to them (when speaking to the parents) as "your princess". E.g. "What would your princess like to eat today?" It's a cynical and calculated move to get the girls to nag their parents into buying billions of dollars worth of Disney princess-themed goods per year. Today, we visited the Statue of Liberty and Ellis Island, both operated by the US National Park Service (NPS). Several National Park Service employees gave my daughter a spiel about how we are a nation of immigrants who then go on to become our future scientists, engineers and doctors1. Did the NPS direct their rangers and employees to stress this? Or did they do this independently? Top down or bottom up? Bad Dad had reserved tickets for us to take the stairs up to the crown (only ~250 permits per day are given out). Security was very tight for the Statue of Liberty. We had to pass through airport-style security, then a GC-mass spec (gas chromatograph mass-spectrometer). Finally, we had to put everything but our cameras and medications in a locker before the final climb. There are two sets of staircases (up/down) in a double helix. Unfortunately, the mass-spectrometer generated a lot of ozone, a lung irritant. Iris and I sent our inhalers through the x-ray machine, then waited in line to go through the mass-spec. Each person has to stand in a tunnel while puffs of air are blown about us and the air is sucked from above. (Bad Dad says that this type of system is called a puffer.) 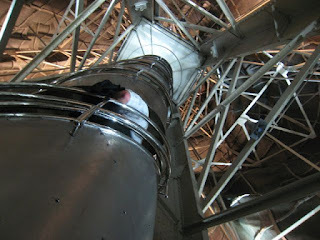 The air is put through a column of some sort (the gas chromatograph) to spread out the constituents along the tube. Then the constituents are ionized as they come out of the tube so that they can be separated by mass (to charge ratio). The ionizer also ionizes the O2 in the air, a small fraction of which recombines as ozone, O3, a lung irritant. 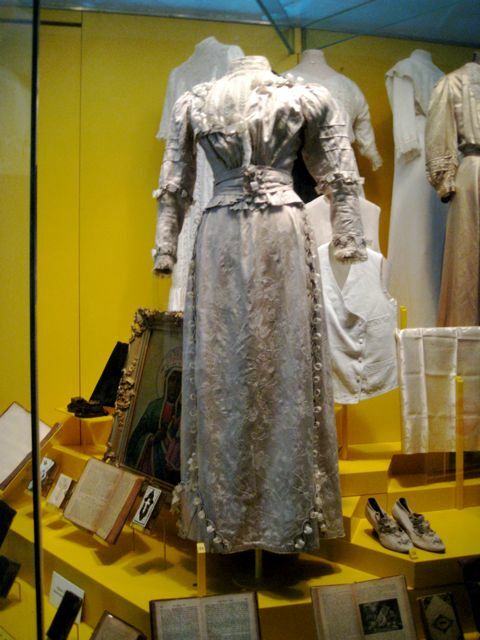 Oh, if you go to Ellis Island, don't miss the exhibit of the treasured objects that immigrants brought with them. I loved this Italian wedding dress. Look at the creative embellishments! The Baltic homespun linen embroidered shirts and blouses were also amazing. Remind me to post a Flickr slideshow of the Ellis Island textiles after I get home. 2. She's been having such a tough time this week. Her nose is so much closer to tailpipe level than an adult's. Schools in France are on a two-week school holiday. Add the normal background level of NYC smokers (much higher than in LA), the French tourists everywhere, particularly at the Statue of Liberty (a gift from France), the high pollen levels and the cold she had a few weeks ago, and she has used her inhaler more this week than the prior 18 months! Except for the poor air quality, she loves NYC and had wanted to live here (perhaps for college?). But the pollution definitely gives her pause. We spent Sunday at the Barnes Foundation and Monday at MOMA. After experiencing the two back to back, our whole family agrees that we prefer the Barnes. The audio tour at the Barnes is awesome. The MOMA one was uneven--much of the commentary sounded like filler. But, the food is much better at MOMA. (There is no food at the Barnes.) Get the beet salad or the flourless chocolate torte. It was still a good day because Iris and I shared a bonding moment in the permanent collection when we viewed the repeated stacked cubes. We had previously discussed perspective* (1 and 2-point perspective) and vanishing points. This artwork blew the vanishing point beyond infinity. It was so witty, we loved it. And I know that mother love is supposed to be unconditional, but I loved her a little more because she got down on her knees at the end of the line of cubes and told me about the way the perspective bends reality. * We were discussing it in the context of David Hockney's revelation that the great masters used camera obscuras. Which then led to a discussion about multiple vanishing points in paintings painted from life (over multiple sessions) and a single vanishing point when paintings are made from photos. "Do you know why there are so many pictures of naked women in art?" "It's just an excuse so the artist can get women to take off their clothes. Artists are very sexist." We may have a future Guerrilla Girl! We only had 3 hours today at the Barnes Foundation. That is not enough time. We will have to go back to Philly another time. Sadly the Barnes will move to new digs shortly. There is something special about seeing an idiosyncratic art collection in such an isolated setting. (Think about the trek to http://www.louisiana.dk/dk.) One of the rationales for the move is to open up the collection to more viewers. Call me an elitist, but I like the way the foundation limits the number of people who can visit at any one time. It is so rare to view so many masterpieces without crowds. The journey is part of the experience. Go there, if you can, before it moves. In preparation for our visit, we went to LACMA last month to view The Art of the Steal. Iris was really excited to see the collections--for about 2 hours. Then Bad Dad installed her outside under a crabapple tree with The Mummy Case so we could continue for another hour. Did you read the heartbreaking The Return: A stay-at-home mom attempts to go back to work after nearly two decades. Can she revive her career? "It was against everything I ever thought I was going to be," Beckett said. "Everybody I knew went right back to work, couldn't wait to get back to work. It was hard to reach out and find people who would support me." A few months after Nellie was born, Tarbox and Beckett had a couple over, and when Beckett said she wasn't returning to the firm, there was silence. Then the woman said, "You're going to make it harder for the rest of us." Her distress wasn't all family-related. "I have a very hard time feeling like I'm walking away from the law." But looking back, she wouldn't change the path that led to her current career limbo. "Raising children is honorable and worthy," Beckett said. "I felt ashamed of my choice, like I was ... failing the feminist movement." Above all, she wants her daughters to be more confident about the lives they choose and the role of motherhood. Amy Beckett is an attorney. If you are interested in the situation of mothers in the legal profession, I highly recommend Joan Williams' book, Unbending Gender: Why Family and Work Conflict and What to Do About It. I've blogged about the book ad nauseum. She also wrote a great letter to the editor (of the NYT) recently about the plight of women in science and engineering. It's Spring in southern California and my mind turns toward wildflowers. Desert USA's wildflower reports for California look promising. If the region can avoid hot, dessicating winds in the next two weeks, the hills will put up the best wildflower show since 2005. The picture above was taken in 2005 (see how Iris has grown!) on an alluvial fan near Salisbury pass, the southern entrance to Death Valley. The flower show has already started, and will move northward and upslope in the coming weeks. Do not delay. Make your travel plans NOW. Hotels and campgrounds book up quickly, and for good reason. If you can't get a room near the national parks, you can try Las Vegas. The area in the picture above is a two hour drive from Vegas, an easy day trip. The Theodore Payne Foundation Wildflower Hotline is a great resource for wildflower news*. Desert USA is another great resource for wildflower news for the entire southwest US, and for travel information in general. My past wildflower posts demonstrate my obsession. If you are lucky, perhaps the earth will shake. Yes, there will likely be aftershocks. But, keep in mind, that quakes along this fault actually increase the strain along the east-west faults near LA. So, it might be more dangerous to stay in town than to head out to the desert. ;-) * Thanks to Brent for reminding me of the Payne Foundation website. This shirt had been relegated to Goodwill (thrift store) because of a fountain pen mishap near the pocket. Can you see the stain now? I especially like the way the button imprinted itself on the fabric in the dye process. I used Procion fiber reactive dye in a manly imperial purple. The dyes that contain blue tend to react more slowly than the pink and yellow ones, yielding more interesting effects such as this. Here's the back of the shirt. Bad Dad was in a hurry so the picture came out a bit blurry. Iris wanted a short-sleeved smocked top for summer. We bought a new one from Dharma and she dyed it emerald green. I made her a new yellow skirt with some yellow remnants in my fabric collection. I found the yellow capris last Fall on the clearance rack, but waited until Spring to give them to her. Iris' stained long-sleeved smocked top had a date with fuchsia pink dye. This shirt was given to her 4 yo cousin. I found a vintage plastic button and epoxied a pin back to the back. I wouldn't want to wear a bullseye on my torso, but the kids seem to like the pin. Iris' old velour zip hoodie was cleaned up and dyed with turquoise, again for her cousin. Another bullseye. There are more dye experiments, which I will show later. Hat's off to the folks at Dharma Trading for the funniest commercial newsletter ever! Fifty years ago today, the world’s first weather satellite lifted off from Cape Canaveral, Fla., and opened a new and exciting dimension in weather forecasting. 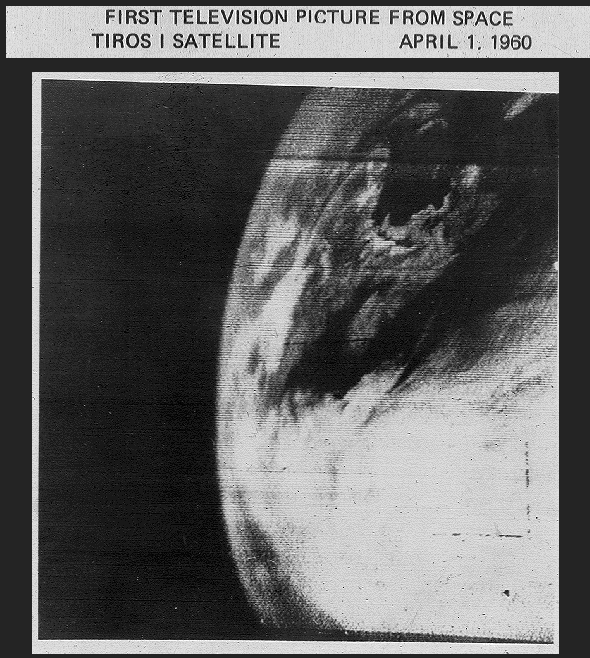 Read the full NOAA story, including pictures from the first weather satellite, TIROS, and the recently launched NOAA-19 satellite. I found it very interesting that TIROS, a polar-orbiting satellite, was launched from Cape Canaveral, FL instead of Vandenberg, CA. "If you look at the current launch manifest (schedule of worldwide launches) http://www.spaceflightnow.com/tracking/index.html, you can see that there will be two visible launches this month, Worldview 2 and DMSP 18. Satellites in a series are numbered. Thus, worldview 2 is the second in the series. DMSP, the Defense Meteorological Satellite Program, is run jointly by the Air Force and the Navy. DMSP 18 is the 18th satellite in the series. Perhaps the class wants to have an unofficial meetup at the Manhattan Beach Pier for the DMSP launch? It's on a Sunday morning. So DMSP, which launches at 9:12, will always stay close to 9:12 in the morning or evening. Worldview, which launches around noon, will always fly around noon and midnight. That's because a global imaging mission like Worldview gets the best view when directly overhead, at noon. The DMSP satellite wants to view the early morning and evening changes in the ionosphere, which is critical for the USAF which runs GPS and Milsatcom. Those satellites are very sensitive to changes in the ionosphere. Satellites bound for geosynchronous and low inclination (equatorial) orbits tend to launch from Cape Canaveral in FL or Kwajalein Island. I want the kids to understand that there are different types of orbits. The function of the satellite determines the orbit, and that the desired orbit determines the launch site and time. That should be enough for a 5th grader. The meteorologist in me wants the kids to also learn that there are two main types of weather satellites. There are high-flying geosynchronous ones like GOES East and West, that fly above the equator and look over the same spot all the time. And there are lower-flying ones that go over the poles, like DMSP-## and NOAA-##. The lower ones give more detail, but view a much smaller region." The distance from earth also determine the wavelengths that the satellites can monitor (but that is a more advanced concept, best saved for HS or college students). You can view satellites with your children quite easily, even without a telescope, if you can get away from the city lights. I've explained in DIY Satellite Tracking how to predict when satellites will be viewable. Pick a polar-orbiting satellite that flies in the early evening. They will be in the sun about 70% of their orbit. In the early evening, the sky will be dark, but the satellite will be sunlit. Weather satellites are perfect for this, because their ~100 minute orbit is slow enough for you to view, but fast enough so they won't be mistaken for a star. Have fun!